In 2017, students designed posters of their favourite books. The posters have been decorating the library and acting as book recommendations for a year. Here the books students prefer! 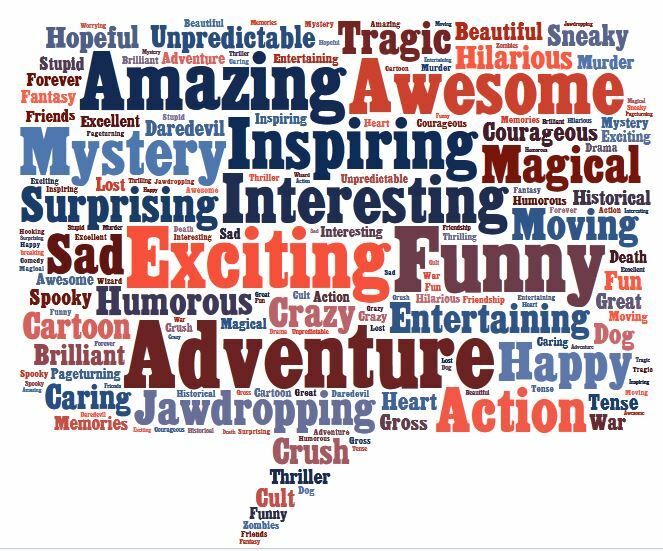 Here is an interesting word cloud of the keywords of the favourite books posters. Humourous, Adventure and Mystery are favourite genres!